looks scary. 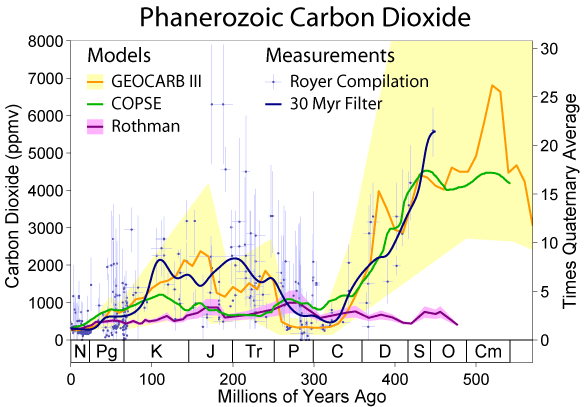 It shows the current era having a much higher rise in CO2 than any time in the last 400,000 years. As you can see, over 542 million years, CO2 has been mostly declining in concentration. The current upsurge is a mere blip, as is current warming. In the middle of that period, 252 million years ago, was the great Permian Triassic extinction. It might have had something to do with ocean acidification, but it can't have had anything to do with carbon dioxide in the atmosphere.